Are you waiting to receive a pack from us? This section contains information that will assist you when completing your form(s), as well as any other queries which you may have. Why have I not received my pack? If you have waited for more than 7 days after speaking with us and are yet to receive your forms from us, email us at enquiries@gladstonebrookes.co.uk or speak with us on 01925 320932 and we can arrange for your forms to be re-sent to you. Are the forms I will receive complicated? Any forms we send to you to allow us to act on your behalf will have most of the necessary information filled in – the most important thing you need to do is simply read, sign and return them to us! The first thing you will receive from us will be your Form(s) of Authority. These forms allow us to contact your lender to start the PPI Check process. Initially, we will be contacting them to confirm whether or not any of your accounts with them had PPI. In any cases where your lender confirms that PPI was or may have been present, we will advise you of your options including the opportunity for us to proceed with the PPI Claim for you. To do this, we will complete the necessary Questionnaire(s) with you to allow us to start the process of reclaiming any PPI you may be due! If you have received a Questionnaire(s) from us, all you need to do is read the information which we gathered from you on our phone call, make sure you are happy with it, then sign and return the Section F part of the Questionnaire. Everything else is for you to keep. Please see our guide here, for helpful information regarding any forms you may receive for your PPI Check or PPI Claim process with us. Duplicate forms are required if we are investigating multiple lenders for you. As each sale of PPI needs to be handled separately, the lender will need the details of each actual sale. This means that for any policy you decide to make a claim for, we would need to complete documents in relation to each policy. Can you help me complete the documents? Our Filling in the Pack page should help answer any questions you have about any forms you receive from us. If you have any further questions that the Information Suite does not answer, please call in on 01925 320932 and our expert staff will be able to assist you. Any other documents in the pack, including the Questionnaire itself, are for you to keep. What if there is an error on my forms? You may make amendments as long as you countersign any amendments you make. This is very important; if any amendments are made and not countersigned, many lenders will reject the form as being invalid and this would delay your case. Please also call us on 01925 320932 so we can update your details on our system. Our fees are 20% + VAT° of the total redress offered by your lender, including any reduction of any outstanding agreement, which if in place the PPI may be cancelled. If we are unsuccessful there will be no charges whatsoever. You will see in the pack that we send examples of our fees to assist you in understanding them. Gladstone Brookes do not charge upfront fees to Clients. The Financial Conduct Authority (FCA) who regulates the lenders have been very clear in their guidance when saying that it is a customer’s right to complain if they are uncertain about the service that they are provided with. Lenders have recognised that many policies sold were not right for their customers and so making a complaint will not affect your relationship with them. Your claim will start with the Pre-submission stage first. 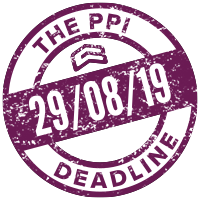 On average within 6 weeks from the request being sent to the lender, a response is received which will determine your PPI status. Then, our average claim timeframe is between 8-16 weeks weeks from the date the lender acknowledges the claim to a decision being made. Can we get account numbers for you? The aim of the Pre-submission process at the start of your claim is to identify any PPI held on any accounts with your lender, as far back as their records go. This should also provide us with any account numbers we need. However, depending on your lenders records, they may require an account number or documentation from you at some point. 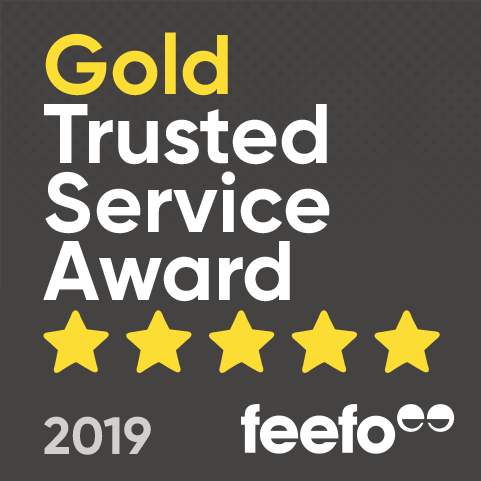 We can try to assist you, but the best way is for you to check any documents you hold – bank accounts, statements, on-line banking etc – or simply call the lender and ask them for the number. You have a right to the information. Click here for a list of Bank & Lender Contact Numbers. Once you have read, signed and dated all of the forms we have sent to you, please return the signed forms only in the pre-paid envelope we provided with the pack. When we receive the completed forms, we will proceed with your check, keeping you updated along the way! If you have a preferred method of contact, please let us know via the comments email below. Failing that, please ensure that all of your contact details are kept up to date so that we can keep in contact with you throughout the handling of your complaint.